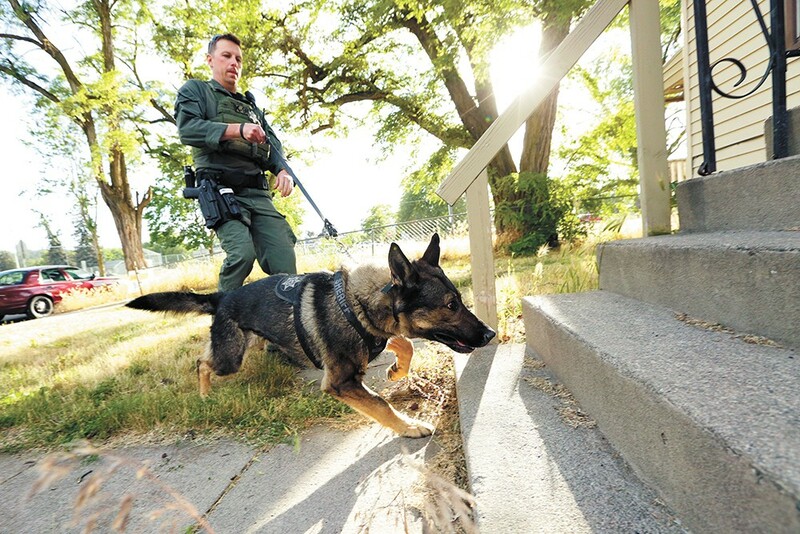 "MAN'S BEST PARTNER"- Spokane County Sheriff's Deputy Jason Hunt and his partner K9 Gunnar approach an unoccupied house during a training exercise. "PUMP UP THE VOLUME!" 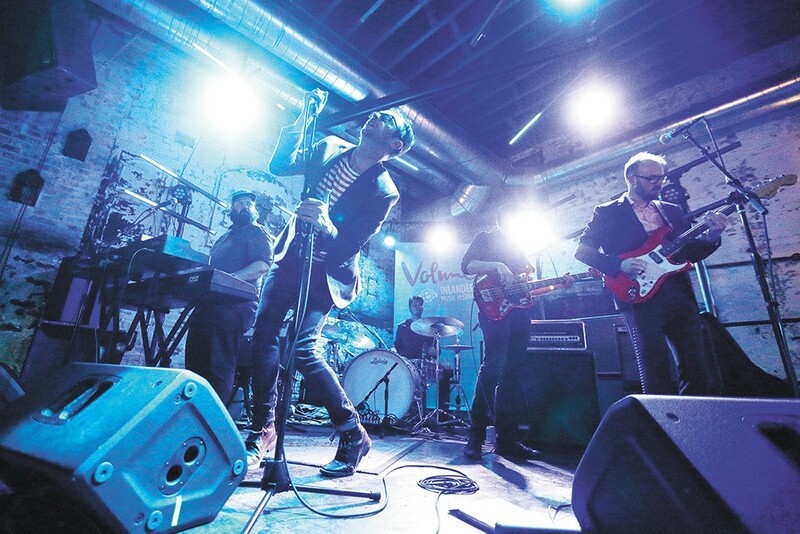 - Spokane's Nat Park and the Tunnels of Love perform at the Washington Cracker Co. Building during Volume, the Inlander's annual music festival. 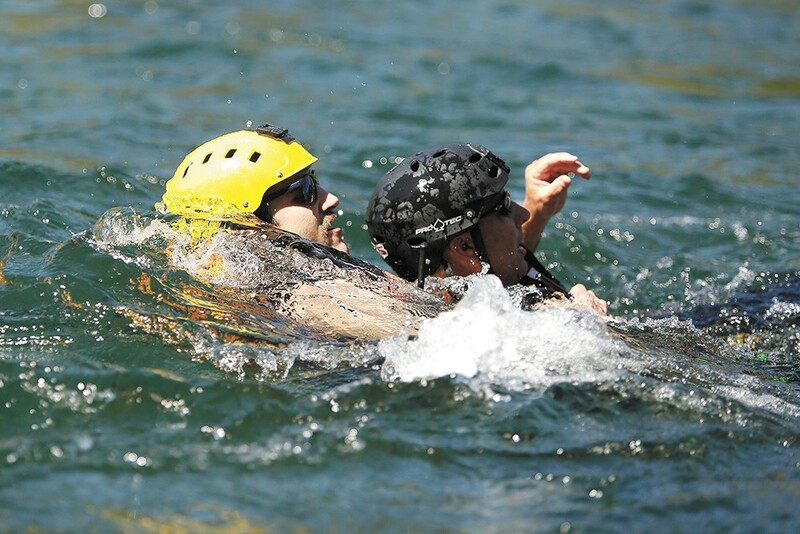 "NECK DEEP" - Spokane Firefighter Cliff York, left, holds onto and guides Doug Kelley while practicing a tethered rescue during training at the Spokane River. 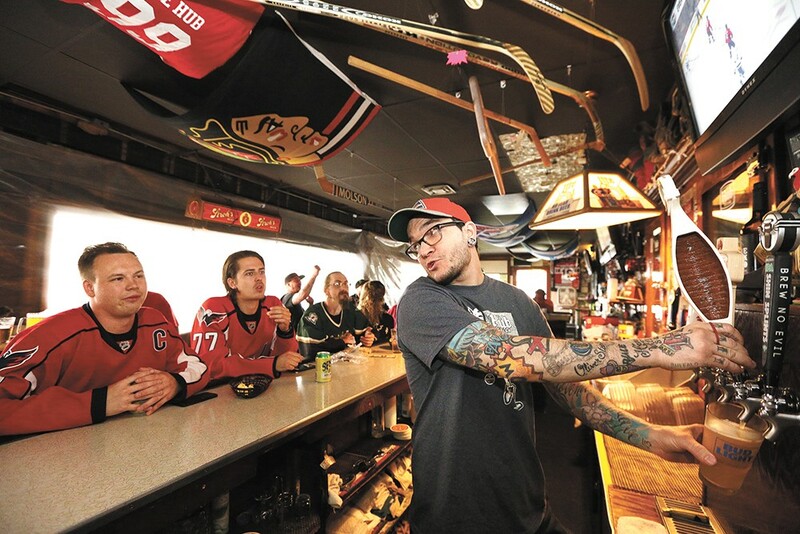 "HUB FOR HOCKEY" - Buddy Richardson, right, pulls a beer for some hockey-loving fans who love the Hub Tavern. "SPIKED!" 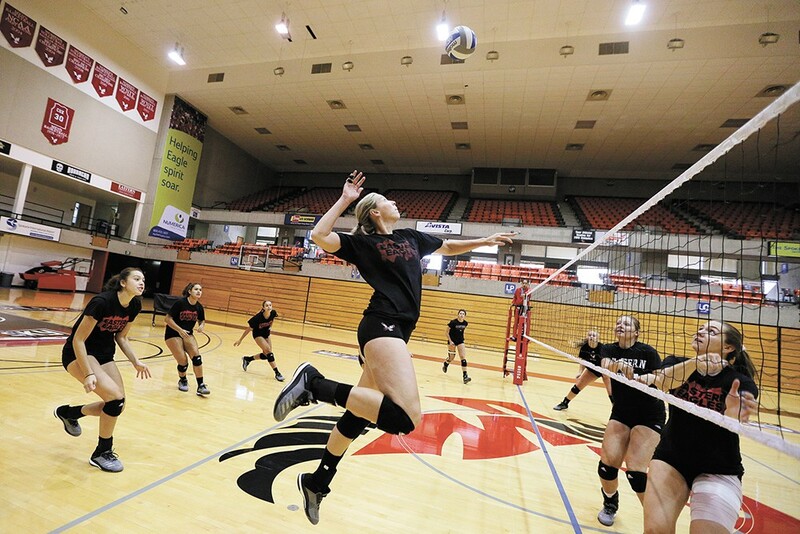 - Eastern Washington's Taylor Larsen, center, during practice at Reese Court. 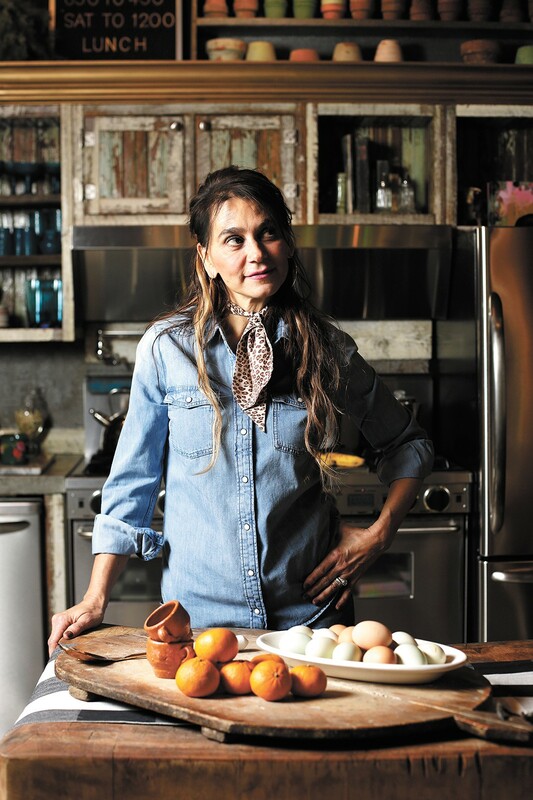 "EDIBLE EDITS" - Celeste Shaw, owner of west Spokane restaurant and bakery Chaps Coffee Co., was guest editor-in-chief of Where Women Cook's first-ever holiday issue. 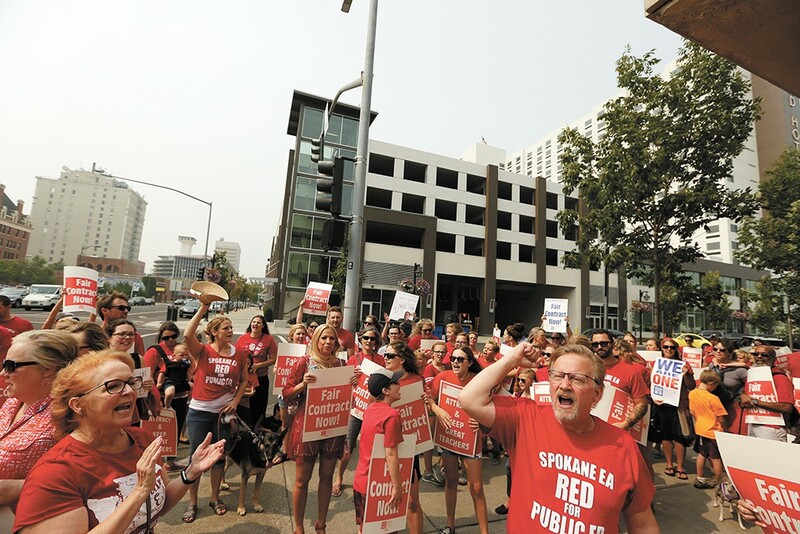 "ON THE PICKET LINE" - Sheridan Elementary School sixth-grade teacher Joe Kahovec, right, leads a rally of public school employees calling for better pay raises outside Spokane Public Schools' administration building on Aug. 23. 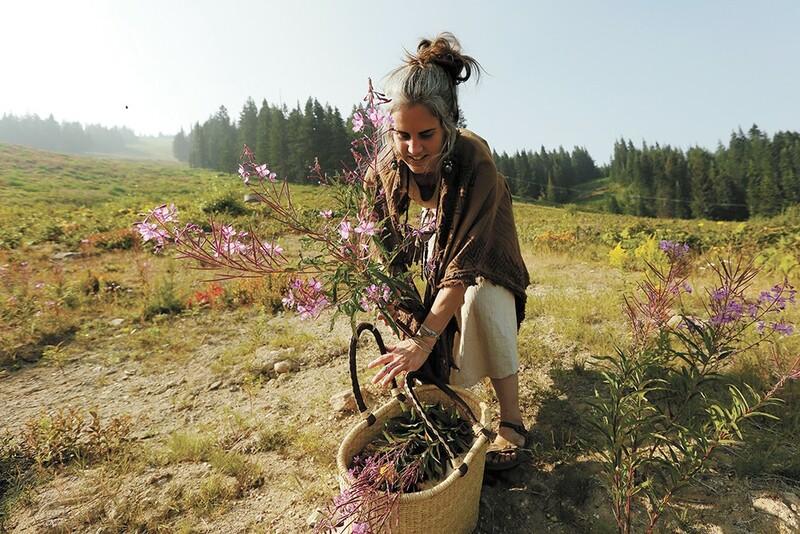 "HUNTING AND GATHERING" - Wandering Lemurian Herbs owner Aubrey Mundell harvests fireweed in Mount Spokane State Park. 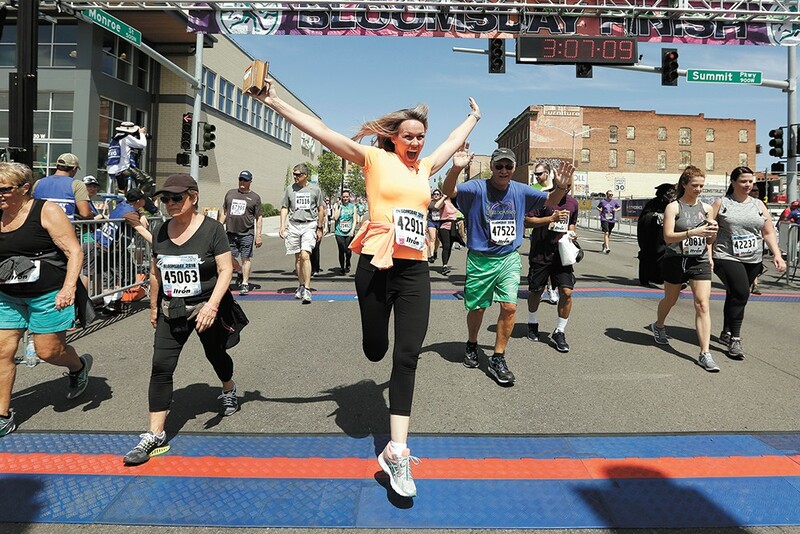 "THE FINISH LINE" - One excited runner crosses the finish line during the Lilac Bloomsday Run on May 6. 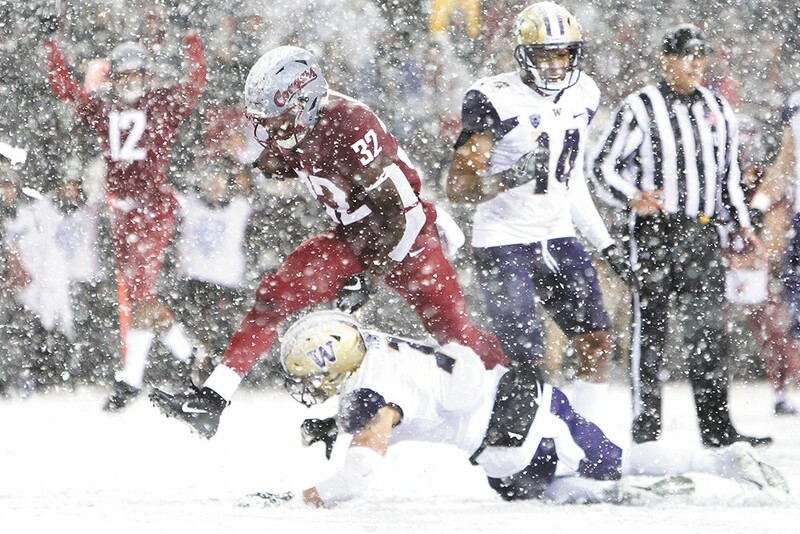 "GETTING SNOWED" - Washington State running back James Williams runs over Washington defensive back Taylor Rapp during the first half of the Apple Cup in Pullman Nov. 23. UW won 28 to 15. 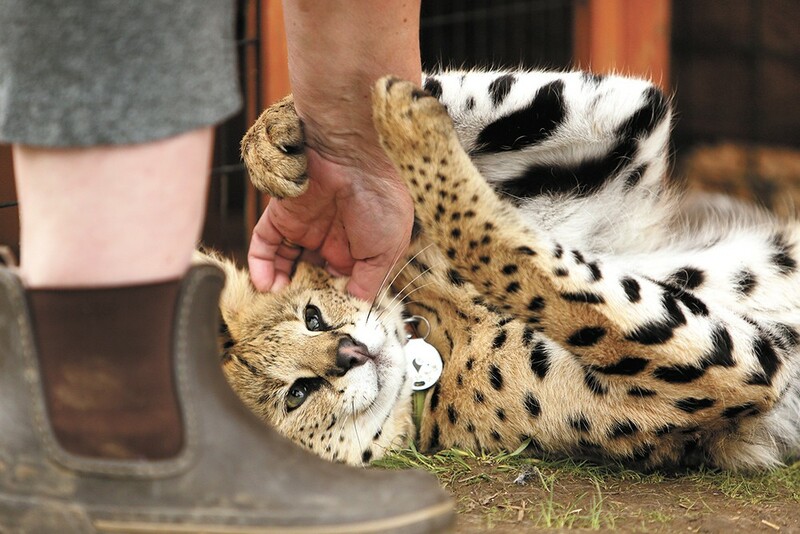 "GETTING FRISKY" - Anya Spielberg pets her 1-year-old serval Boomer in his enclosure at Savannah Exotics in Oakesdale, Wash.
"FIRE AND SMOKE" - The view from Mount Spokane State Park during a smoke-filled day in August. "BUGGING OUT" - A Smerinthus opthalmica (western one-eyed sphinx) moth stands on Carl Barrentine's hand after Barrentine released it at his house in Spokane. He captured the moth earlier in the morning. 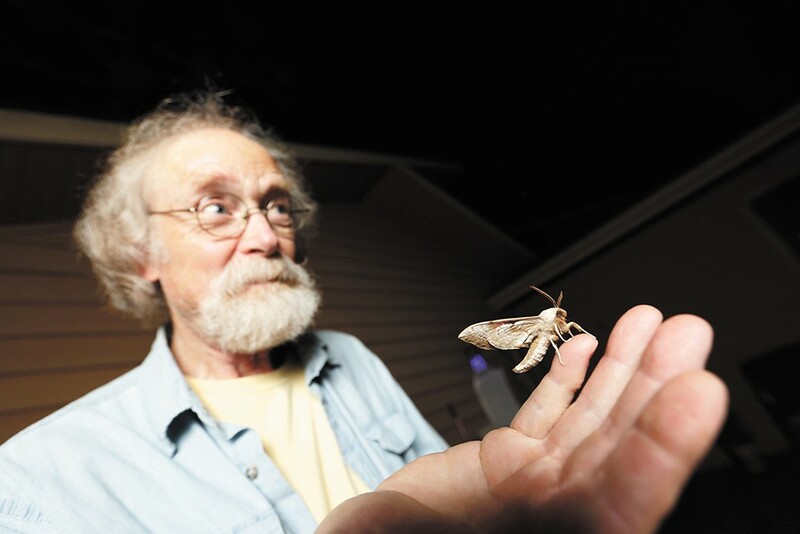 Barrentine, a retired biologist and professor, captures and identifies moths. 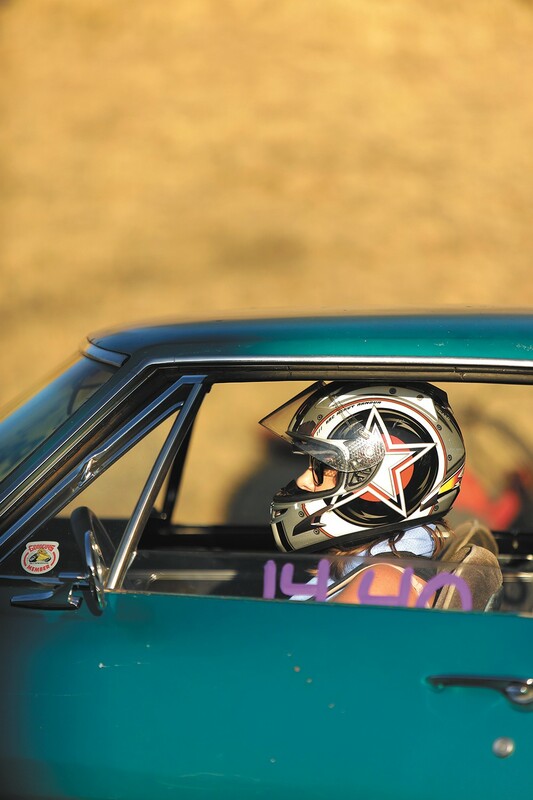 "MISS SHIFTERS" - Jessica Boller sits in her 1967 Chevrolet Camaro before the first Powder Puff elimination round on July 14 at the Spokane County Raceway. 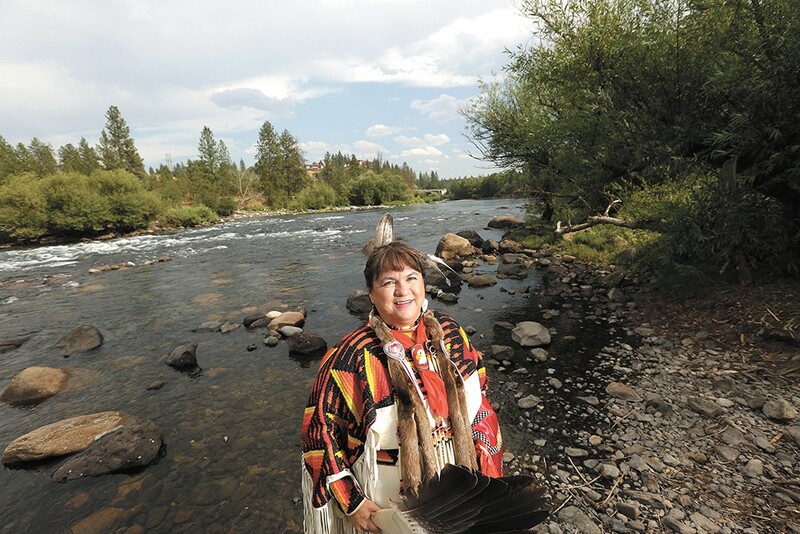 "WE LIVE IN WATER" - Margo Hill, a Spokane Tribe judge, Eastern Washington University professor and contributor to Paul Lindholdt's book The Spokane River, poses for a photograph west of the Sandifur Bridge near the confluence of Latah Creek and the Spokane River. 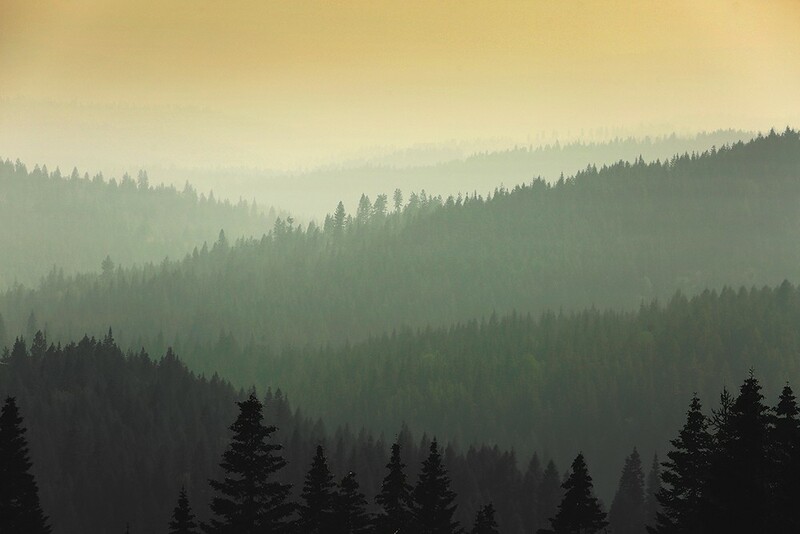 The original print version of this article was headlined "Take Two"